In the not too distant future, Hear MY Voice will provide scholarships to support quality AAC evaluations. Check back with us to keep up on when these scholarships may be available. If you are in a position to provide financial support for such a scholarship and wish to make a donation, please contact us using the link below. Scholarships are available to assist with registration for attendance at any of the Experiential Learning Series. Scholarships are limited and will be awarded based on availability, and they may cover part, most, or all of the costs of registration. 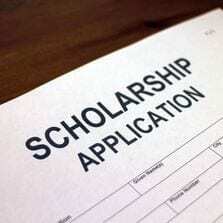 Click on the link below to email your request for a scholarship. Be sure to state your name, your email address, your phone number, which of the events you would like to attend, and describe your need for the scholarship. If you would like to provide financial support for someone to attend the Experiential Learning Series, you can help now by making a donation. Click on the Make a Donation link below. Also in the not too distant future, Hear MY Voice plans to provide scholarships to support quality intervention to develop language through AAC. Check back with us to keep up on when these scholarships become available. If you are in a position to provide financial support to make this happen sooner rather than later, we’d love to hear from you regarding a donation. Please contact us using the link below.